NOTE:This Fluffy Keyring is made of artificial plush. Pom Pom Keyring has a great soft hand feeling.As a Mother's Day Gift. Pom Pom Keyring Used as car and bag charm, keychain etc. Pom Pom keyrings are apparently very fashionable at the moment, or so my friend's teenage daughter Katie tells me! I initially thought they looked a little strange, but Katie was very excited about reviewing them! "I really like how fluffy these are. They are also a nice size to connect onto your bag or keys. If you keep them in your bag you wouldn't easily lose them due to their size and bright colours,"
The pom poms do look very striking, and the colours are gorgeous. The free bag that they come in looks great too, and will make the poms poms ideal to give as gifts. £4.99 sounds a little high to me for a keyring. But Katie and her mum tell me that they have seen some just like this in a high street store for £6.99, so it does sound like these are good value for money. 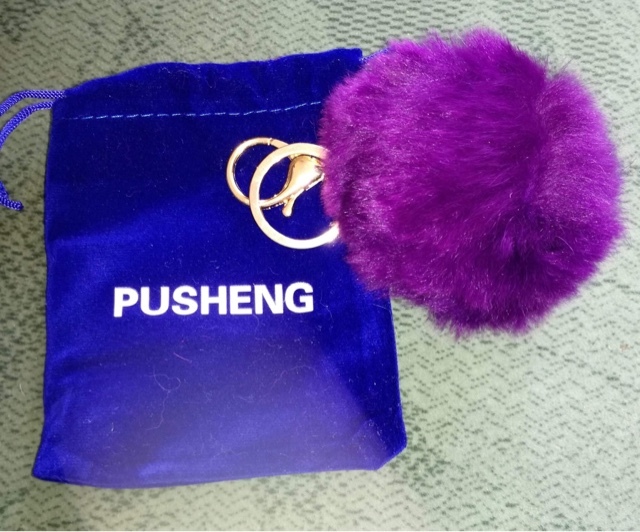 Katie loved the Pusheng Pom Pom Keyring/Bag Charms and gave them five stars.